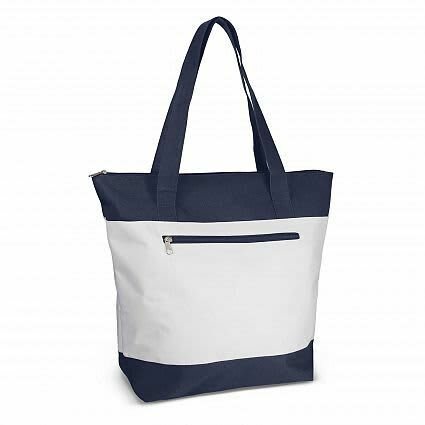 Smart two tone tote bag with a rounded gusset and sewn in base for added capacity. H 370mm x W 415mm x Gusset 130mm (excludes handles). 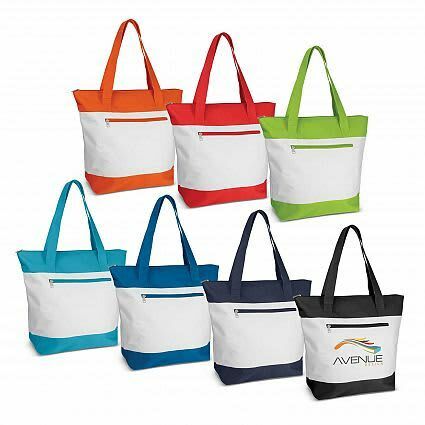 Orange, Red, Bright Green, Light Blue, Royal Blue, Navy, Black..